The 15th Annual Calusa Blueway Kayak Fishing Tournament on Saturday, December 8th invites anglers of all ages to participate in the tournament raising money for the Candlelighters of Southwest Florida. 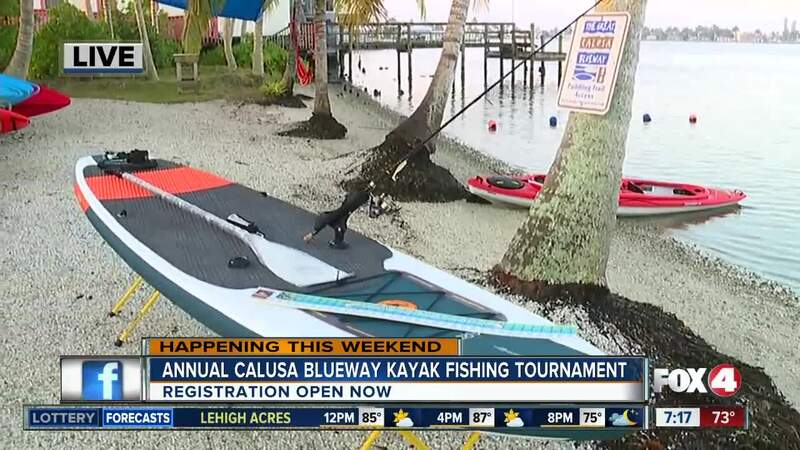 LEE COUNTY, Fla. — The 15th Annual Calusa Blueway Kayak Fishing Tournament on Saturday, December 8th invites anglers of all ages to participate in the tournament raising money for the Candlelighters of Southwest Florida. The tournament is held at the Olde Fish House Marina in Matlacha. To participate, it's $65 per angler. A mandatory captain's meeting will be held on Friday from 7 to 7:30 p.m. Fishing begins at Safe light on Saturday. To register, click here . All tournament proceeds go towards the Candlelighters of Southwest Florida, a nonprofit providing support and education to children diagnosed with cancer or blood disorders. They serve families in Lee, Collier, Charlotte, Hendry and Glades counties.